A big hello to my internet fam, today i am here to review products from Fernberry. 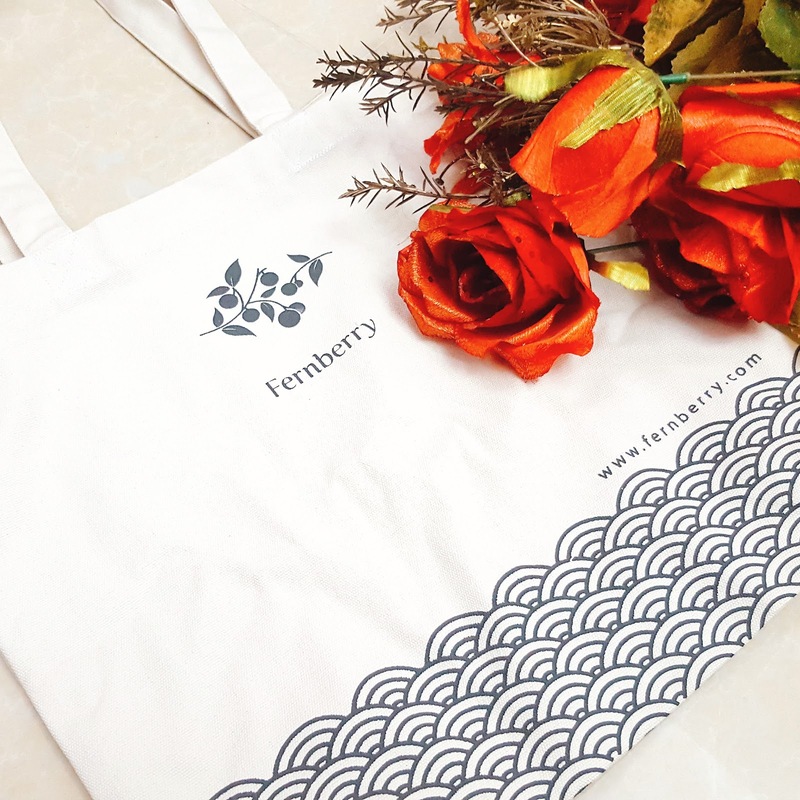 Fernberry is a Japanese skincare brand. 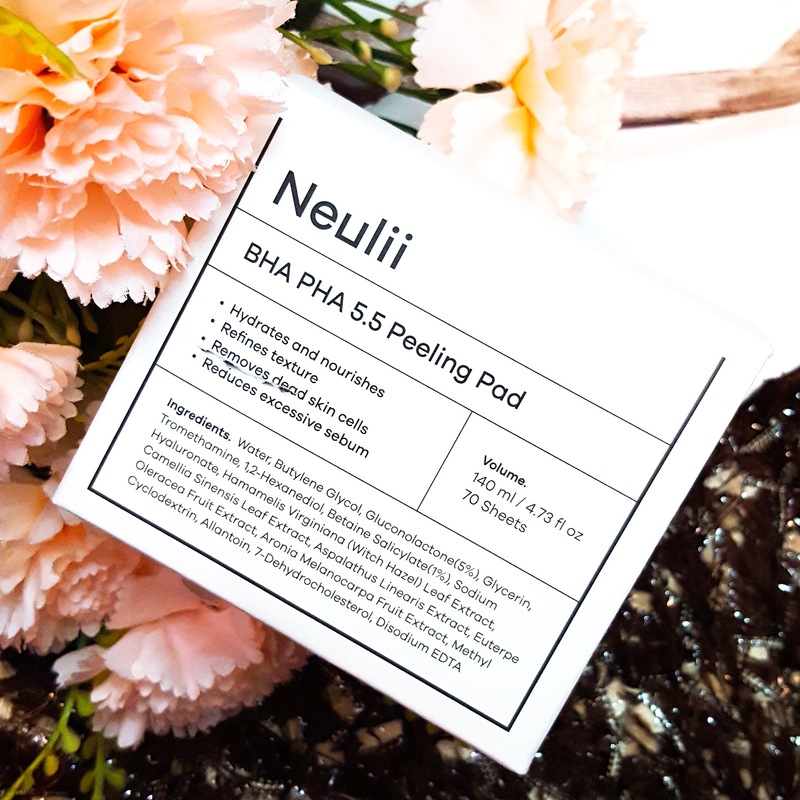 They believe in creating products which restore skin's natural radiance. 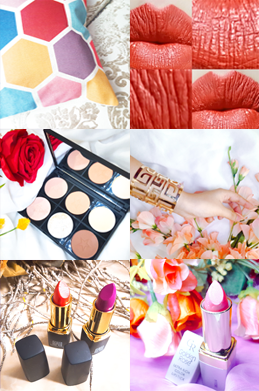 Their products are free of Parabens, GMOs, Triclosan, Dyes, Synthethic Fragrances, Sulfates, Phthalates and cruelty. It is very important to take care of your skin. It is not just your face which needs care and nourishment rather it is your entire body which needs care. Recently, i have started to give more time to my skin as i have realized that moisturized and nourished skin looks healthier, radiant and younger for a longer period of time and i don't want to look old so soon =(. 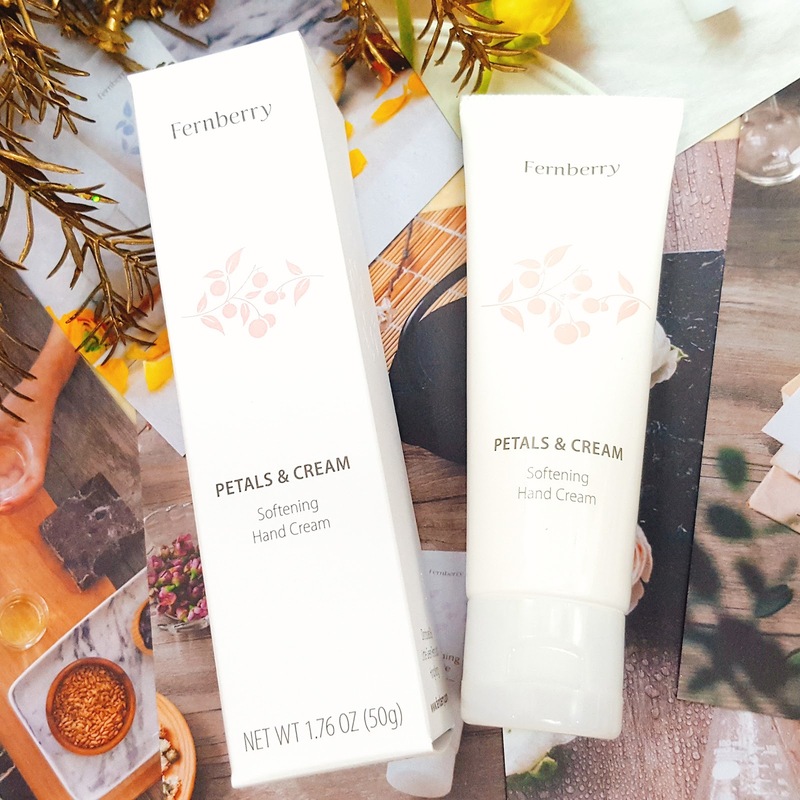 Fernberry has been very helpful in my skincare journey so far. I received a box full of Fernberry products a while ago and i have been using the products religiously. My Fernberry products came in a cardboard box. When i opened it, it had a cute little pink envelope stuck to the inner side of the box's lid. 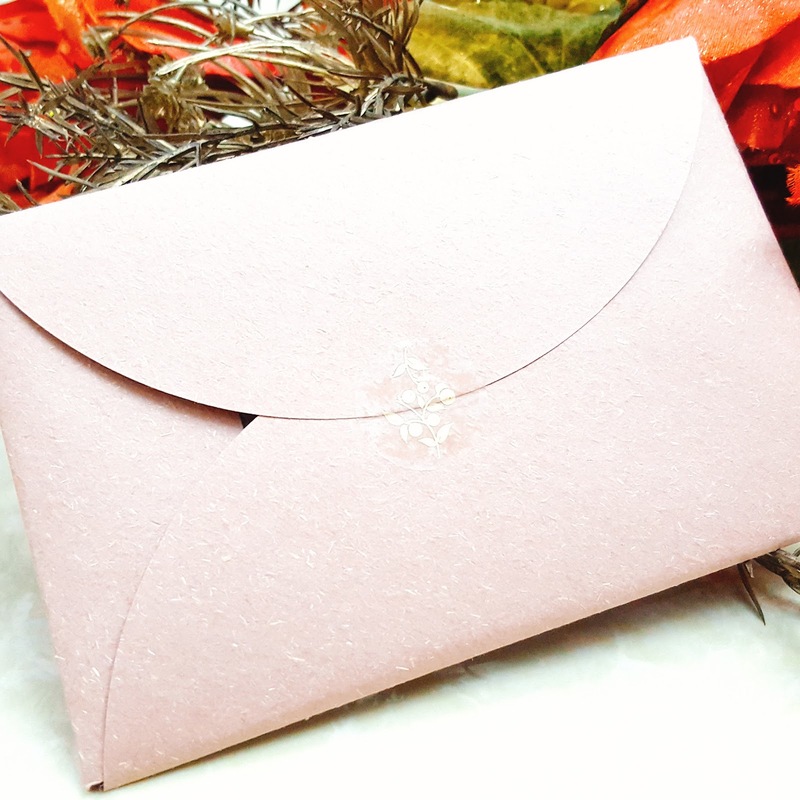 The pink envelope had postcards like cards inside which had all the information about Fernberry and their products. In the box all the products were laid beautifully, including a cute tote bag with Fernberry logo on it. 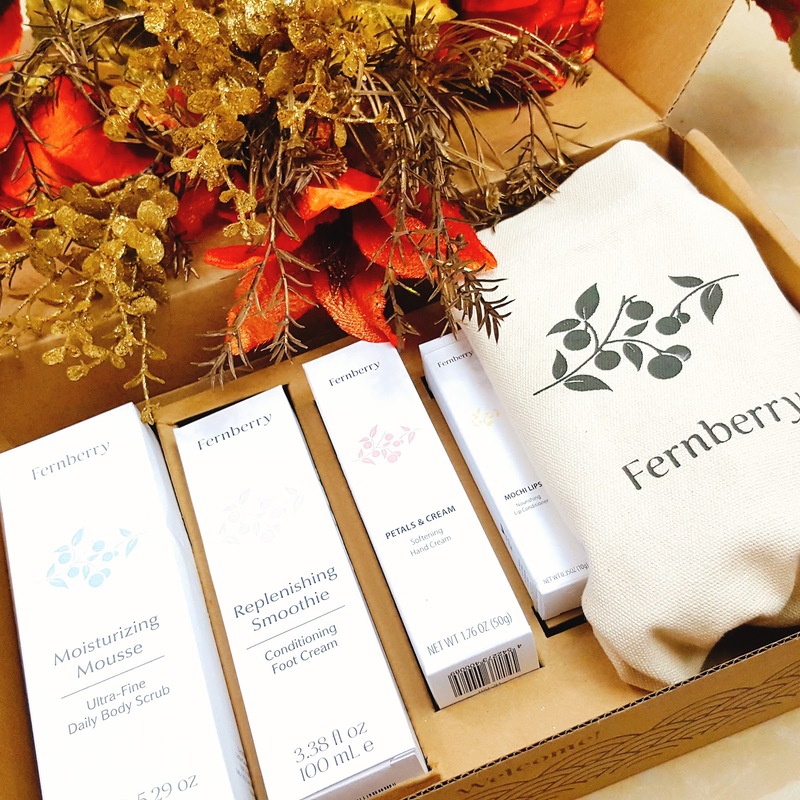 Every Fernberry product comes in a white cardboard box. The actual product packaging is also white, which looks quite classy. Firstly, i will talk about Mochi Lips. Mochi Lips is a lip conditioner meant to nourish dry lips. It is a sheer lip conditioner which is neither sticky nor shimmery. It has a very mild scent to it which is actually very refreshing. To be honest, my lips get very dry and they start to peel off sometimes and trust me it is so NOT pretty ! But since i have been using this, my lips feel so soft and smooth. I also apply this product half hour before i apply any matte lipstick to make the application smoother. You can easily wipe this lip conditioner off before applying any matte lipstick. 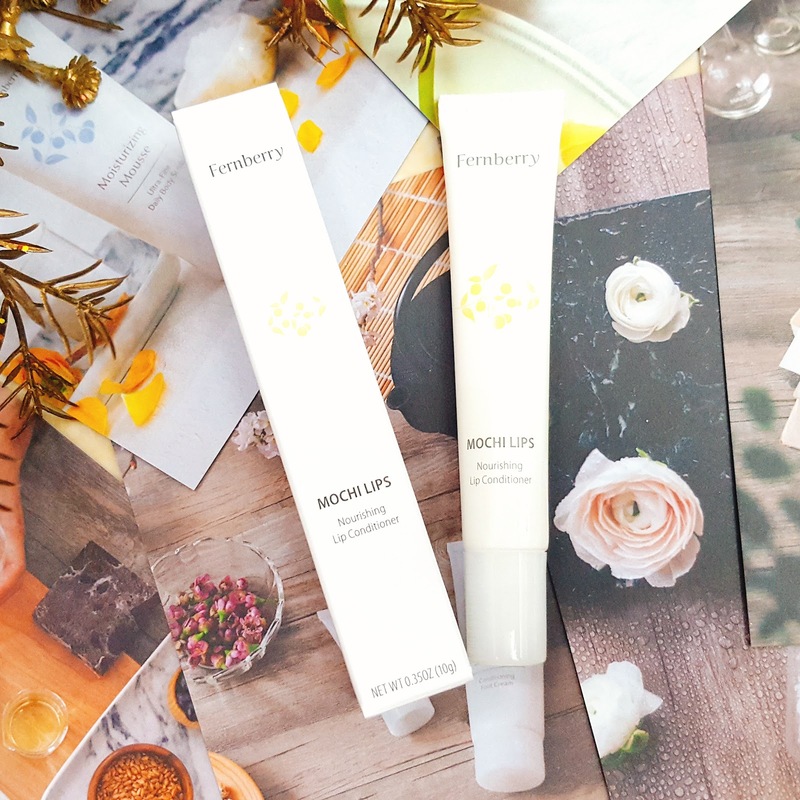 Being a lip balm obsessed , i absolutely loved this lip conditioner and sadly i am almost out of it. You can get this Mochi Lips from Fernberry website for a special price right now which is $23.00. I have been enjoying using this hand cream a lot !! I never thought i would ever like any hand cream. If you are someone who is interested in buying this, now is a good chance for you as you can get this hand cream at a special price which is just 24.70$. Taking care of your feet is really important, nobody likes cracked dry feet. This Replenishing smoothie is suppose to make your feet soft and smooth. I have been using it for quite a while now and i have noticed a huge difference in my feet. The texture of this cream seems a bit thick in the beginning but as you work it in your skin the texture lightens up. This foot cream is not sticky at all. It takes a little bit more time to absorb in the skin than the hand cream but as soon as the product absorbs into the skin my feet feels soft and moisturized. I do have darker toes but since i have started using this cream , they seem to have lighten a bit which is surprisingly amazing. For now, this replenishing smoothie is available for 30.70$ on Fernberry's website. Lastly, this Moisturizing Mousse is an ultra fine daily body scrub. It has a beautiful subtle smell which lingers for a while. This scrub has very tiny sea salt particles which melts with just a little rub. The ultra fine scrub is very gentle on the skin so if you want you can use it everyday. I have been using this everytime i take a bath and honestly i am loving it. It leaves my skin super soft and smooth. 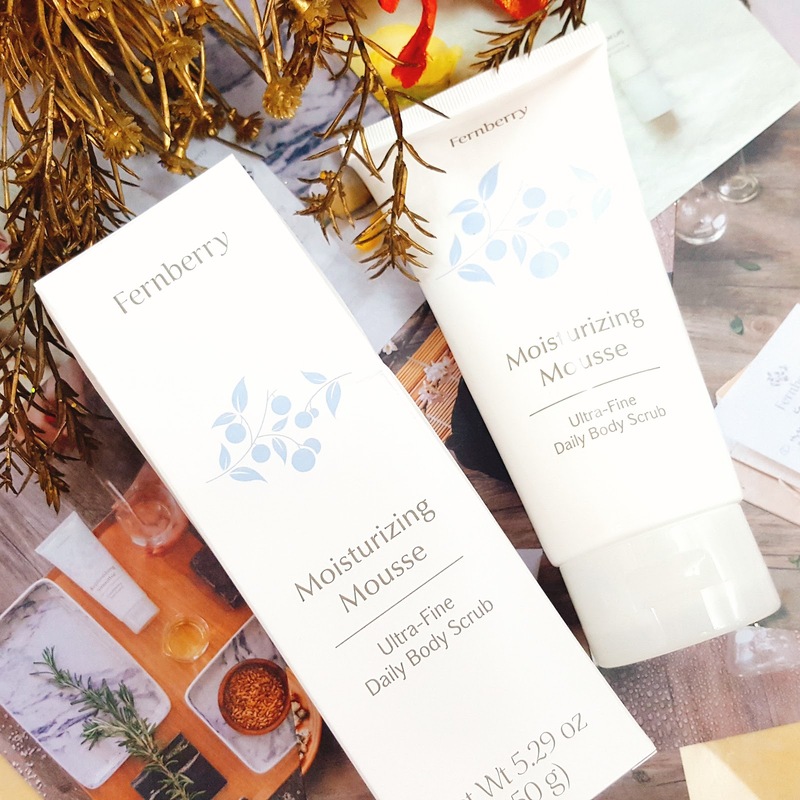 Overall i think all of the Fernberry products are very moisturizing and calming. You will feel the difference from the very first use. 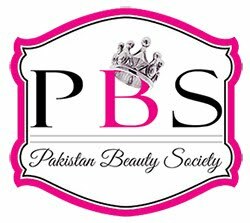 For more information about the products please visit their website. This is all for today, i hope you liked this post. I like your blog, it's very nice.